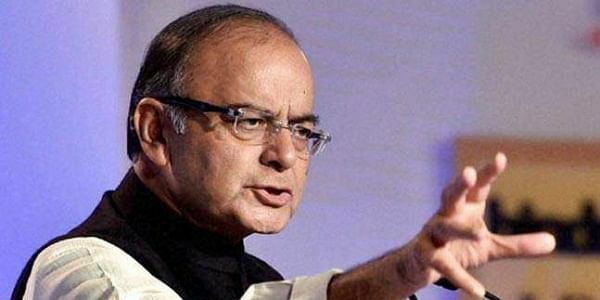 Central government favours bringing petroleum products under the ambit of Goods and Services Tax but only after building a consensus with states, says Jaitley. NEW DELHI: The Centre is planning to bring petrol and diesel under the ambit of the goods and services tax (GST) after taking consensus from the states. “The government is in favour of bringing petroleum products under GST. We would like to await the consensus of the states and hope states at some stage sooner or later agree to the consensus,” Finance Minister Arun Jaitley told the Rajya Sabha on Tuesday. The response came as a response to senior Congress leader and former finance minister P Chidambaram during the question hour. “With the BJP is in power in 19 states and at the Centre, what prevents them from bringing petroleum products under GST? When will the GST Council take up this subject?” Chidambaram asked. Currently, petroleum products are taxed differently across states on account of the huge difference in the value-added tax (VAT) imposed on these. That was the reason the petroleum ministry has been advocating for uniformity in taxes. However the government kept it out of the ambit of the GST as it wanted to do it in phases to launch it on time. Also, it was difficult to get consensus of the state if petroleum products were included in GST. Before launch, the government will assess the fiscal impact of the move. “From last one month, consultations were on for bringing petrol and diesel under the ambit of GST. However, the government was waiting for the results of Gujarat elections before taking any major reform move. Now that the results are out, things may progress. The government will assess the fiscal implications of the move. The study is on and the report may come by the end of this year,” a finance ministry official told Express. One of the biggest boosters for the government from the Gujarat elections was the poll outcome has vindicated the government’s stance on GST, with the BJP making big gains from industrial urban centres like Surat, Rajkot and Ahmedabad. “However, this is not going to be anytime soon. It will take some time and the reason is fiscal not political. The government will have separate consultation with state and oil companies before moving forward,” the official added. Last week, Bihar finance minister and GST Council member Sushil Modi had said the government might bring petroleum products under GST. “Electricity, real estate, stamp duty and petroleum products should become part of GST. This would be our (GST Council’s) endeavour,” he had said at the Ficci annual meet.